Welcome to our sneak peek of this gorgeous 5 BD, 3 BA Colonial in Whippany (Hanover Twp. ), New Jersey! 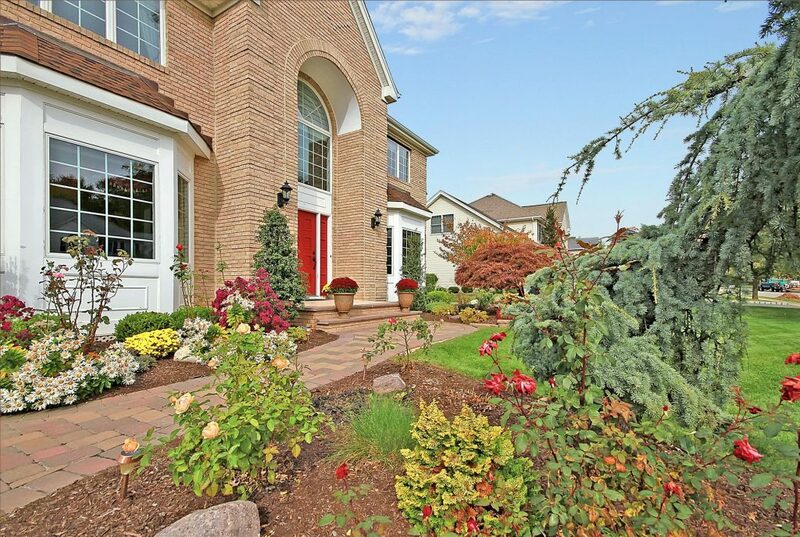 With its handsome brick front and meticulously maintained landscaping (including a bloom of roses each year), this home boasts fantastic curb appeal! 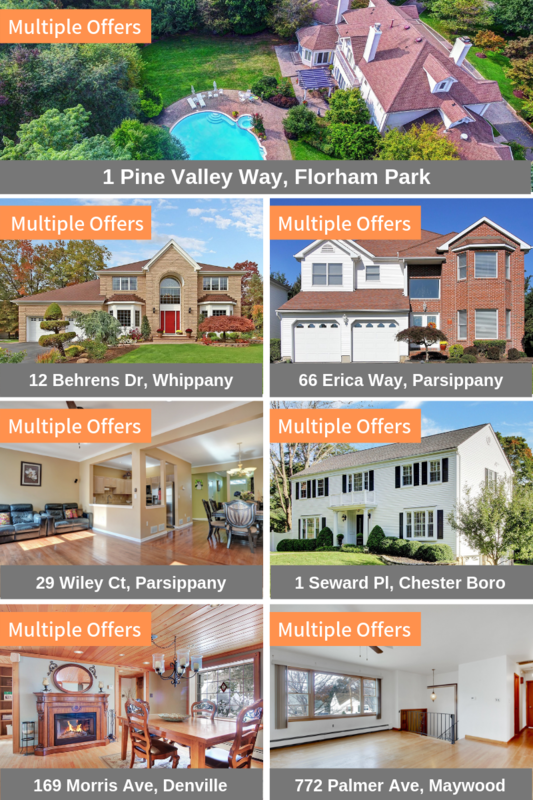 Plus its enviable location in Whippany means lower property taxes compared to other nearby towns, excellent schools, and easy access to many nearby freeways, shopping, and recreation. This home delights in every room! 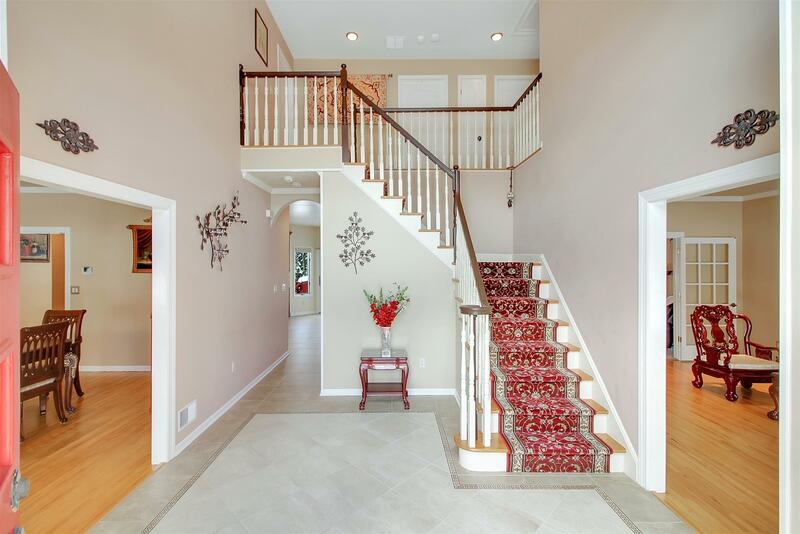 First enter into a bright 2-story foyer. 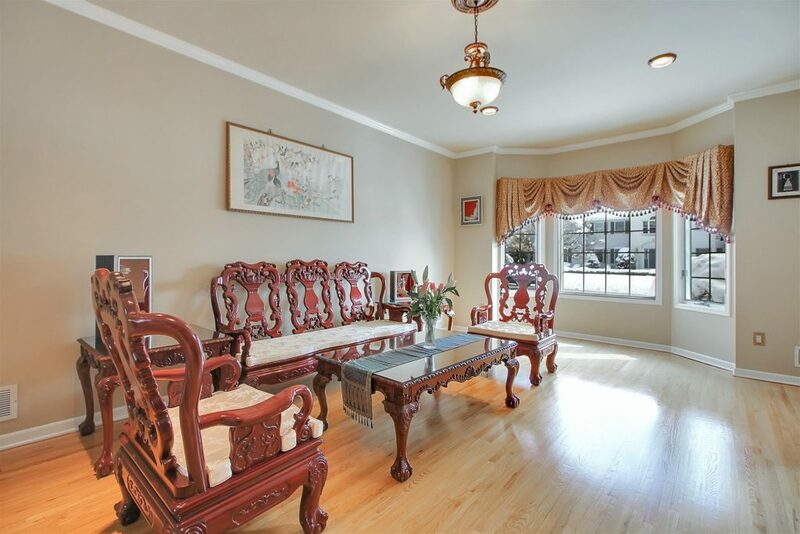 From here you can see the lovely hardwood and tile floors and crown moldings that enhance the 1st floor. 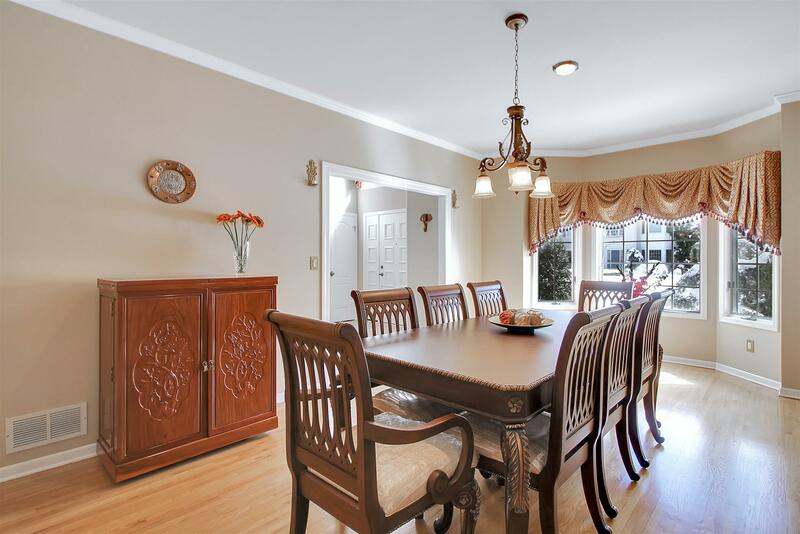 Formal living & dining rooms flank the foyer and supply abundant space for entertaining. The living room features a bay window (as does the dining room) and double French doors to the family room and its marble-surround fireplace. Next is the spacious eat-in kitchen that includes a sunny breakfast area, direct access to the deck, granite counter tops, center island with breakfast bar, and stainless steel appliances, and tile backsplash. 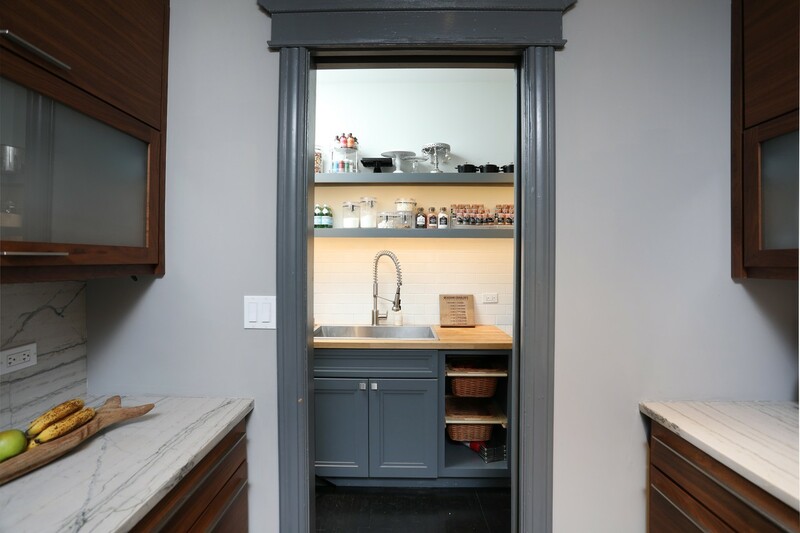 A French door to the dining room makes serving a breeze. 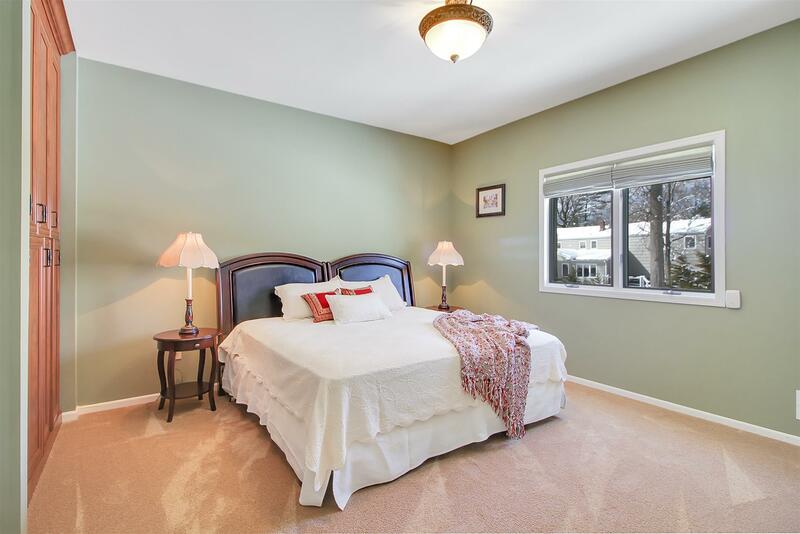 The 1st floor also offers a convenient bedroom with built-in storage and a full bath and stall shower. The laundry room completes the 1st floor. 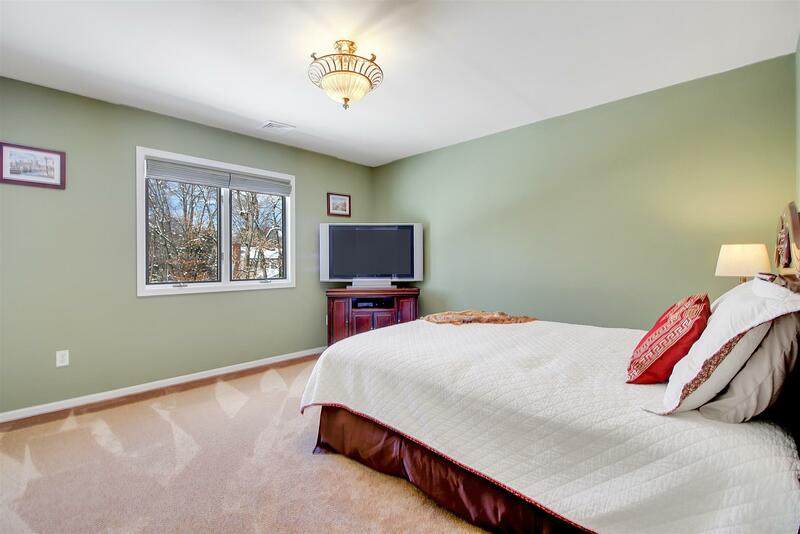 The 2nd floor includes 4 generously-sized bedrooms and 2 full baths. 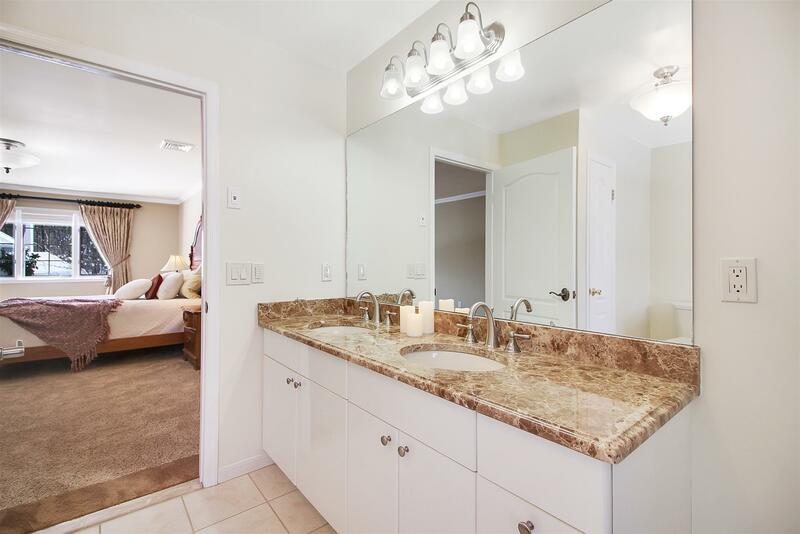 The master suite is a delight with a massive walk-in closet, 2 additional closets, a luxurious marble bath, and frameless glass shower. 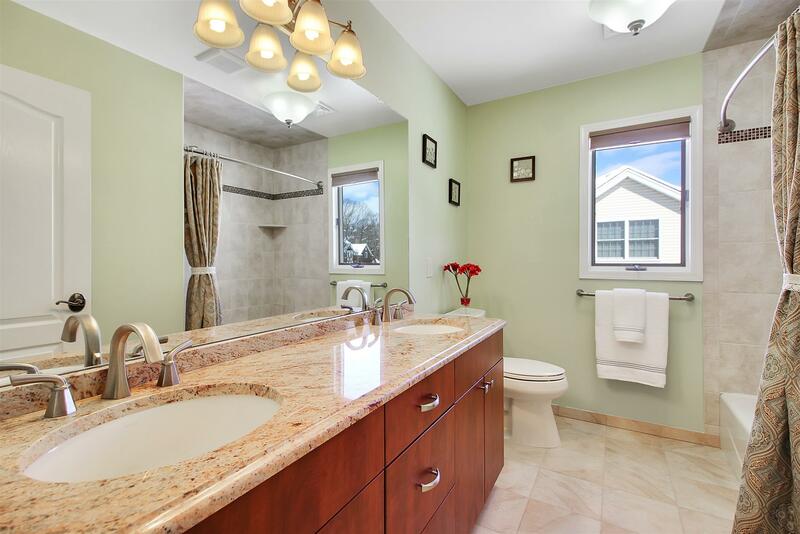 The updated hall bath features dual sinks and a granite counter topped vanity. 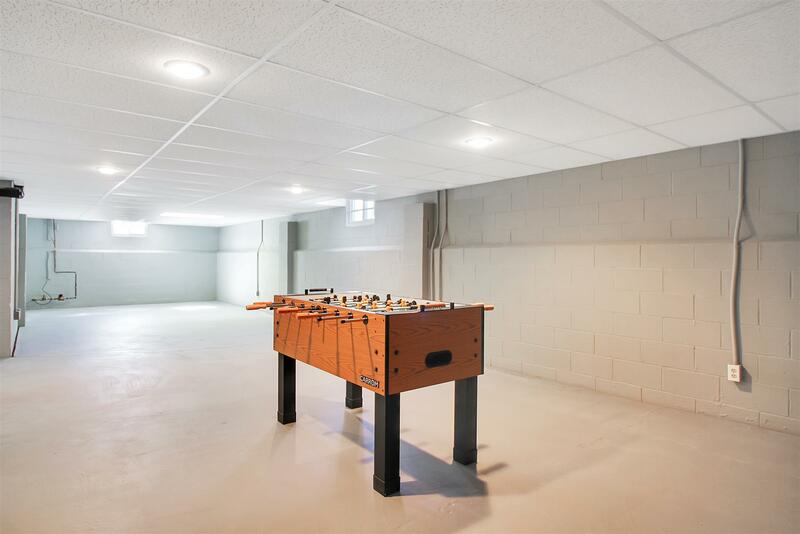 Finally a huge basement provides plenty of space for storage and fun. 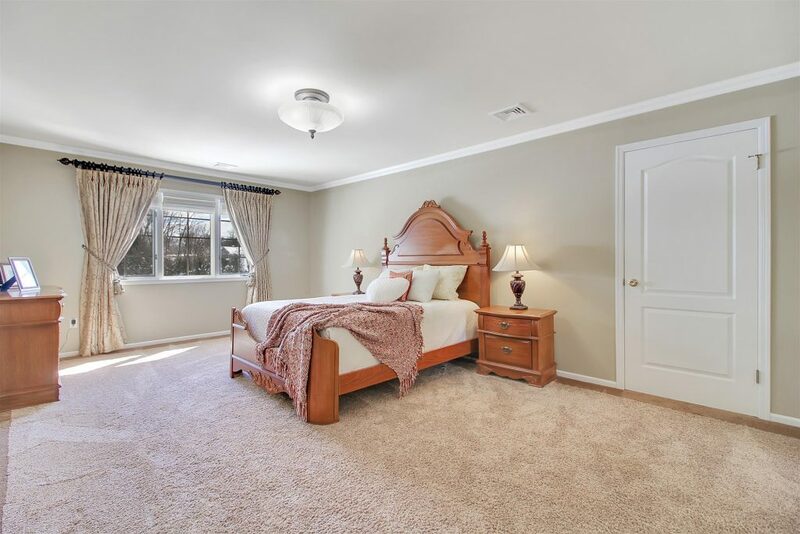 It comes with recessed lighting and only needs to be finished to your tastes to create an excellent rec room, media room, extra sleeping space, office, and more! Questions? 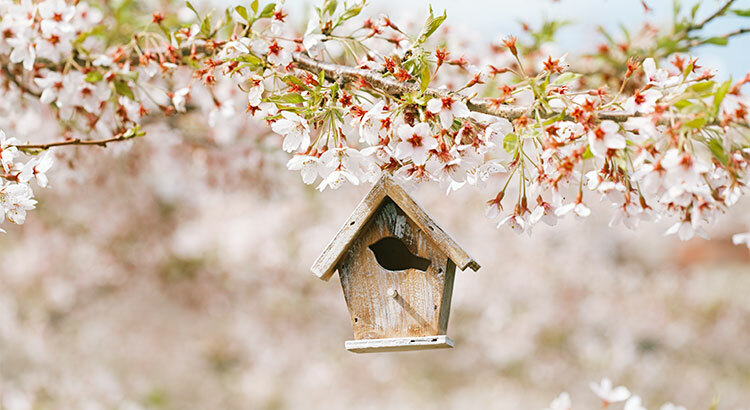 Want to see the home? Contact us today. 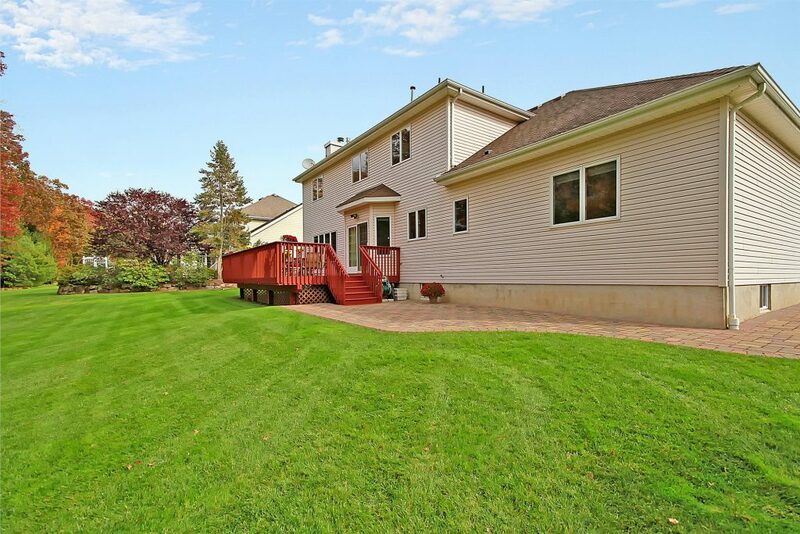 This property isn't in the MLS! The vast majority of 'extreme home makeovers' we see are those on HGTV and the like and mostly more affordable. But gut renovations happen at all price levels, including multi-million dollar homes. 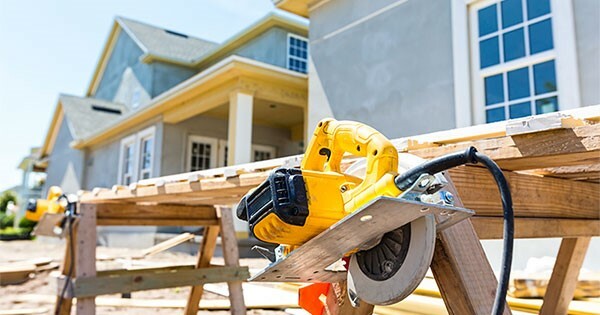 Until recently, most people have been more prone to tearing down an old house and building a brand new one in its place, especially in areas where pricing has soared and doing so is fully justified. Often this is cheaper. But there are some older houses in prime areas that pose historic or architectural significance and doing a gut renovation is the only solution. All renovation is expensive, especially if it is done correctly and not merely a cosmetic re-do. Structural renovations, especially in tight spaces in urban areas can be extremely costly, and often the structural and mechanical aspects of the renovation are not clearly visible. They may often be the most important aspect of the renovation. 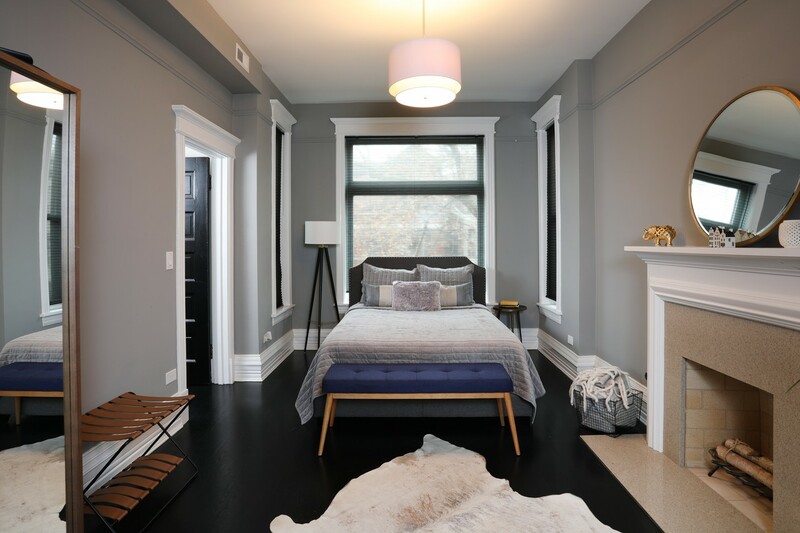 The first step any prospective high-end renovator should do is consult their real estate agent to determine the differential between what the property costs to buy and what it could be worth fully renovated. Some buyers of very expensive homes don't care if they lose money upon re-sale, but they are in the minority. 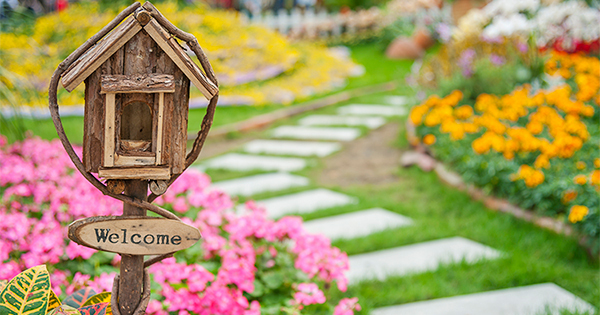 A client of ours recently gut-renovated a massive property with no budget (the garden alone cost $10 million) and stated boldly: "I am rich, I am not going to live forever, I love this property, it's my home and I don't care if it sells for 50 cents on the dollar!" The next step would be to hire a team: an architect, builder and engineer are a good start. A landscaper and interior designer are always meaningful. Getting a comprehensive understanding of current conditions and the environment/land that the property is built on is critical. Understanding costs is equally important, if cost matters. 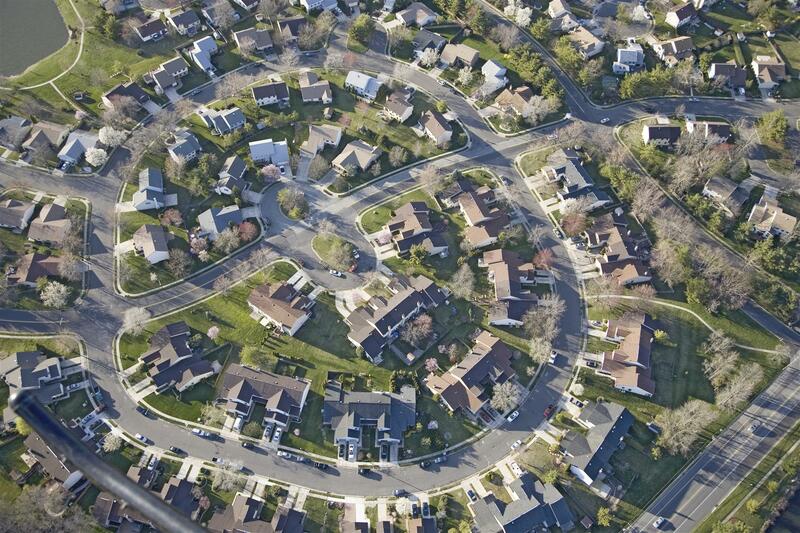 Most older homes require massive infrastructure changes to meet the demands of modern living. 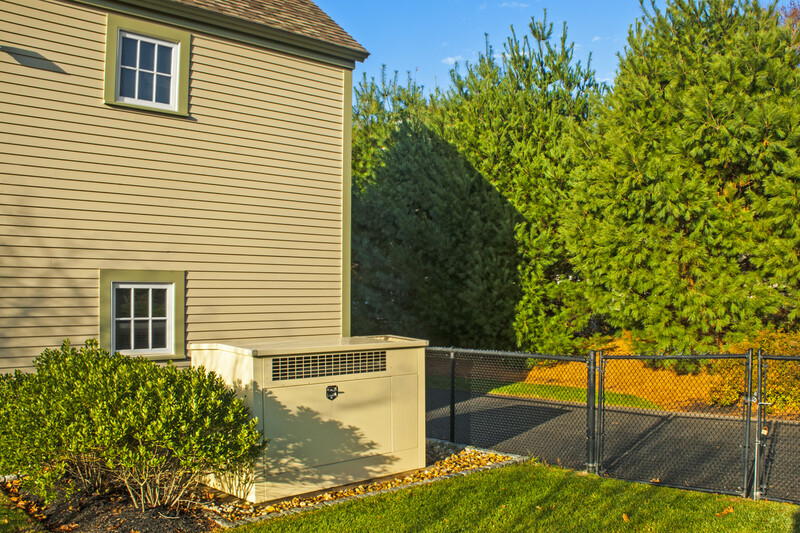 There are very few for which a cosmetic renovation alone works. Most renovators of expensive older homes have told me that skimping is usually inevitably more costly and its always wiser to do things 100% thoroughly from A-Z. Everything you put into a high-priced renovation has varying degrees of cost: some windows for instance can cost triple the cost of others. A quality sink faucet can cost anywhere from $500 to well over $5,000. Choices matter. And often those choices have to refer back to end valuation to be justified. There is nothing worse than doing an expensive renovation that appears cheap or looks like parts were skimped, as tempting as that may be. When evaluating an older' properties re-design its always important to retain the aspects that make that property special while adapting the place to a contemporary lifestyle. Those who destroy (good) architectural history are better off building from scratch elsewhere. 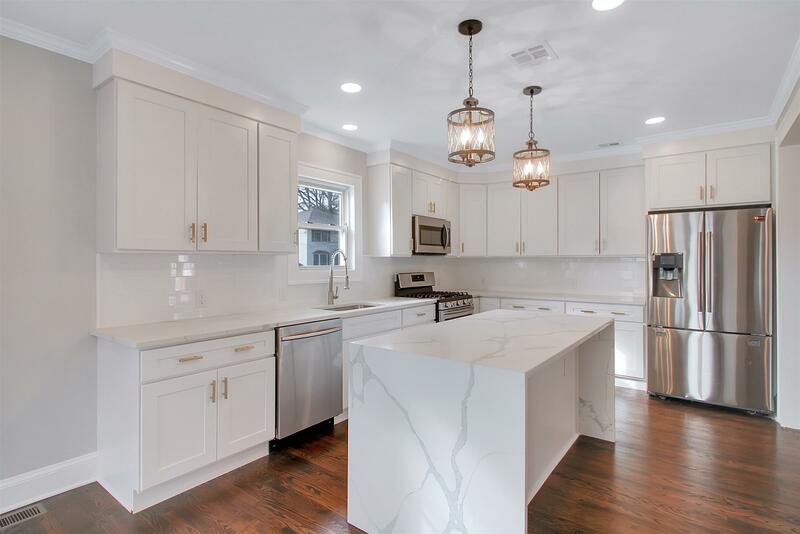 While we love new construction, we have to say that personally nothing compares to a magnificently renovated home that has it's architectural beauty preserved. 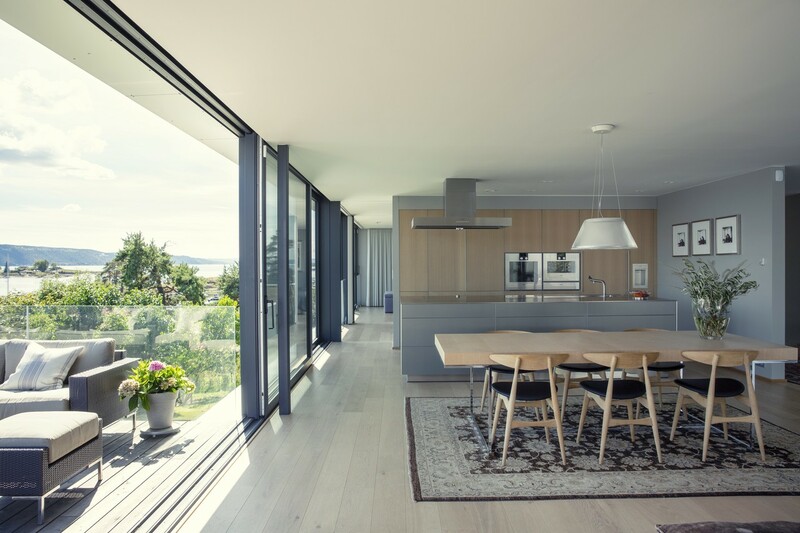 It's also important to note that most very high end properties are viewed as dated and requiring of a cosmetic renovation after about 6-7 years. Don't forget: the rich are different! 1. 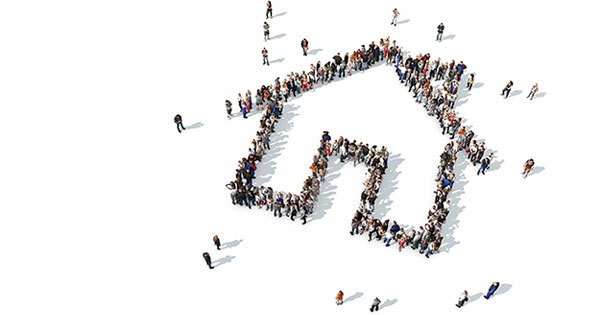 When others want a property you want, chances are it is very desirable. 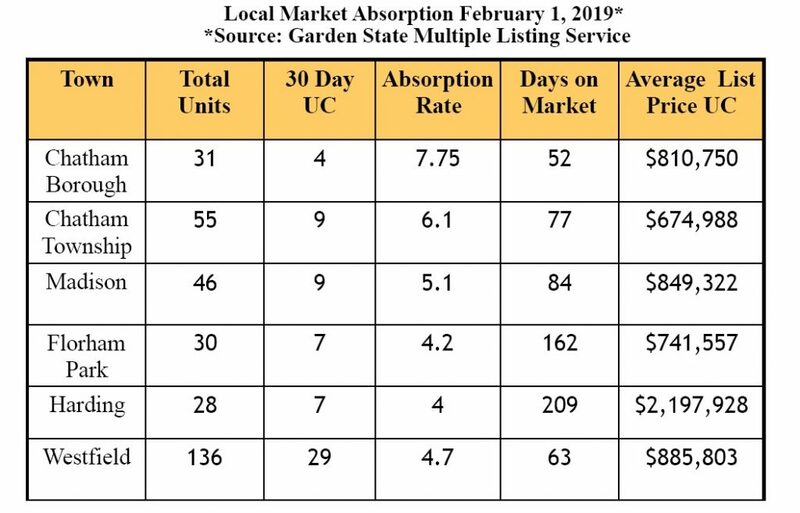 Usually when others want this property now, others will want it in the future when you sell.....but only if you are not in a super-tight inventory environment that can artificially drive demand. 2. 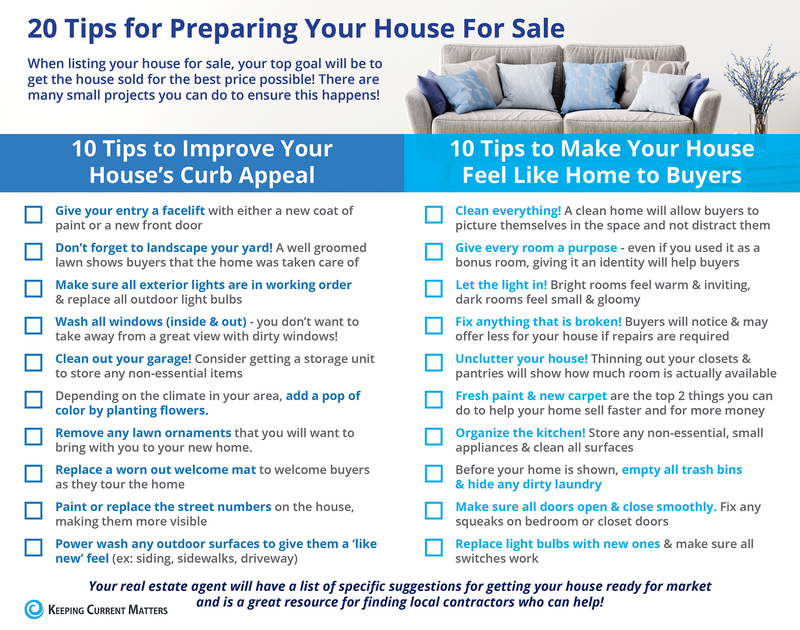 Know that you are buying in a neighborhood/area that is in high demand. 3. Usually multiple bids emerge when demand outweighs supply. 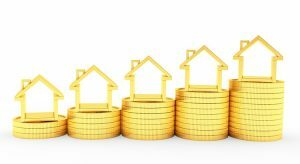 Sometimes, multiple bids emerge when something is priced below market, or the market is rising in value. Maybe the market is under-valued? 4. Bidding as much as you are (semi) comfortable doing is smartest. Some people do get completely carried away and pay vastly over the asking price. Granted they usually get the property, but irrational exuberance can have bad consequences. 5. 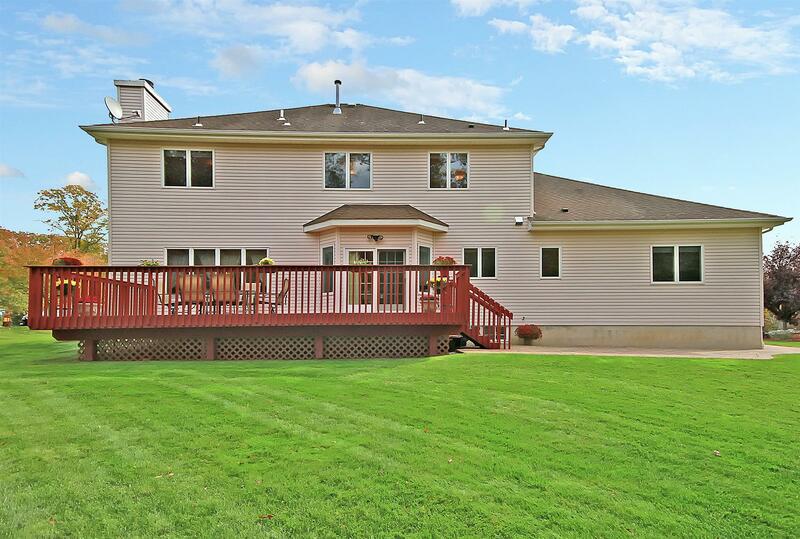 Bargains - the homes no-one else wants - are very scarce in highly desirable neighborhoods. Beware of buying a bargain and then owning a bargain. The 'thrill' of a good deal may be outweighed by the quality of the product. 6. 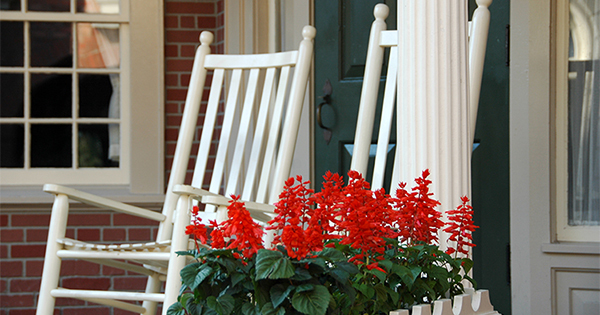 Multiple bids do not always lead to a sale price over the asking price. Sometimes the winning bid is below the asking price. Sometimes the terms matter more than the price. When multiple parties are bidding, most times this gives a very clear indication what the market is willing to bear at that moment, more so than simply an asking price. 1. What's the difference between an English mantel and a French mantel? French mantles tend to be lower and more ornate, often in heavier materials like marble or stone, and more heavy duty architecturally. English mantles tend to be higher and made of wood and sometimes offer modern, clean lines. With either type, fireplaces definitely have become statement pieces by themselves. 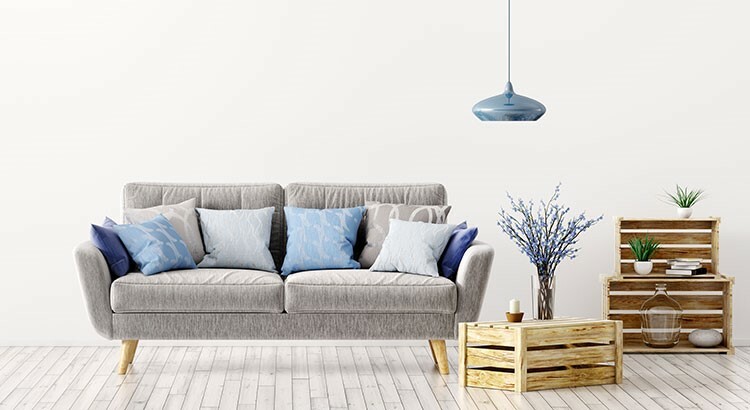 They show off a kind of lifestyle with either sophistication, romance, or coziness and offer an area for homeowners to showcase their sense of style. One lighting trend that keeps cropping up is lighting on the floor or hearth rather than on the mantle, specifically 2 symmetrical spotlights that point directly upward at the fireplace surround. It creates a dramatic effect and highlights beautiful materials or architecture. 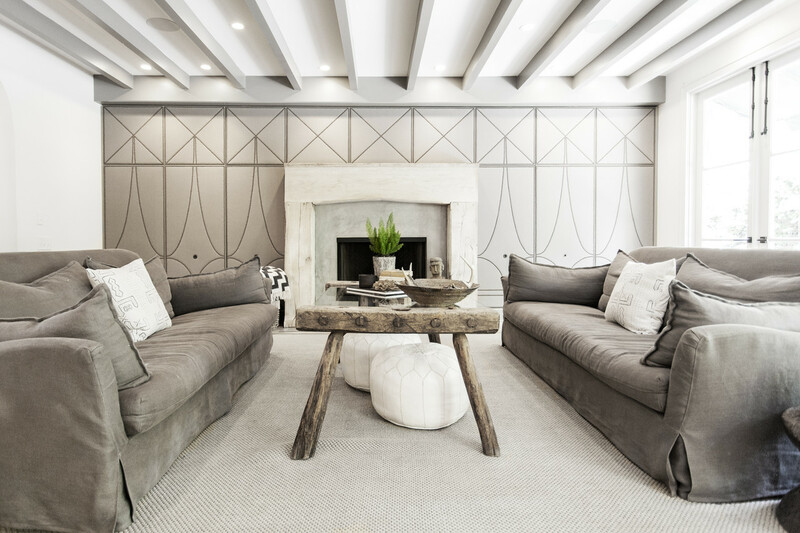 Another option with a twist is candle holders in less conventional spots like the fireplace screen or hearth, mimicking the light and ambiance of a fire. If there’s artwork on or above the mantle, spotlights can be used to highlight the artwork. It is usually best if the artwork is tall and the lights fade up to the ceiling. Overhead artwork lighting can look stuffy and too harsh. Generally avoid lamps and seasonal lighting and definitely avoid the clash of harsh white light. This area should employ softer, cozier yellow light. 3. 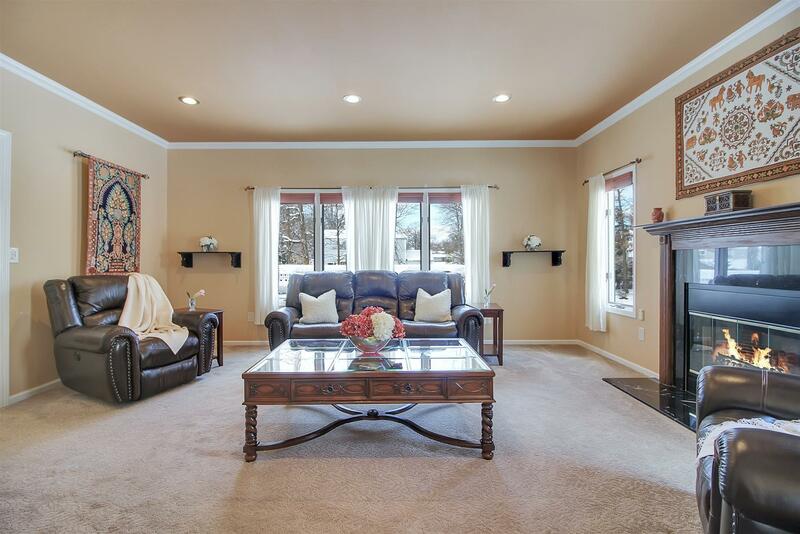 Are mirrors and TVs hanging above a mantel sort of dull or expected at this point? 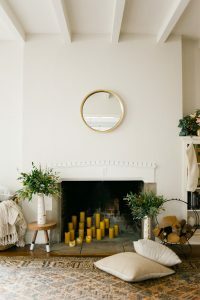 Mirrors still have their place above mantles but they easily look outdated. 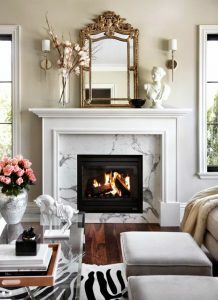 They still work well with extra high ceilings, statement fireplaces, and low mantles where the mirror is tall and draws the eye upward. TVs are still a favorite over the mantle but we’re fans of décor that adds texture and interest and shows that the TV is not the focus of the room. 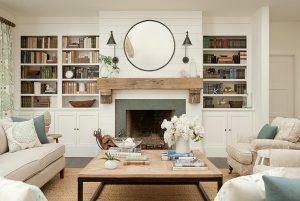 One trend we love is the look of horizontal wood planks from hearth to ceiling on the fireplace. It’s eye-catching without being too distracting and allows for other décor to shine on the mantle. 4. Do people still use the Rule of Three? This infamous rule is less in fashion now unless the three items are complementary statement pieces. Think an ornate clock flanked on either side by pieces of art. 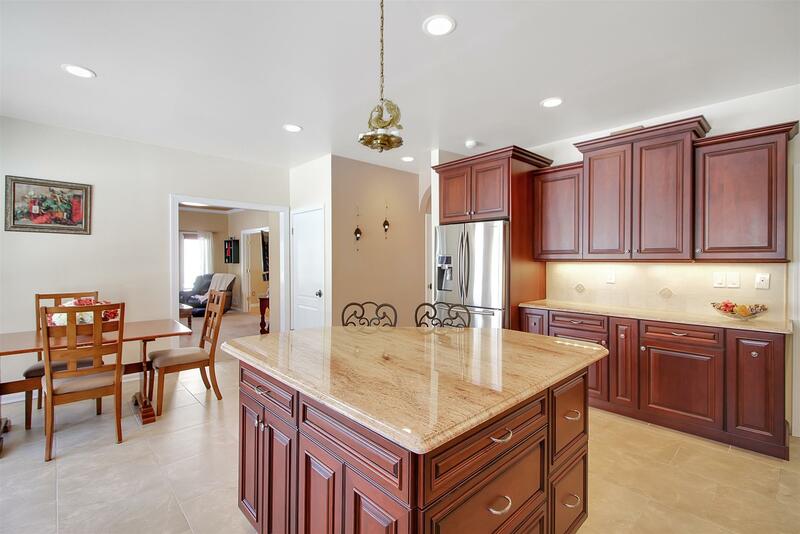 The rule of three often suggests a rigid formality which is less common in today’s homes. Kids and pets are important to consider if the mantle items are within reach, but if the mantle is out of reach, there’s no limit to the fragility and creativity of the mantel décor! Heavy objects, objets d’art, glass, and artwork all can look fantastic on a mantle, anchoring the visuals or lifting them up. If you are worried about things being knocked off, check out the various mounting solutions sold at any local hardware store (e.g. screw mounts, plates, velcro, hooks, small straps, etc.). 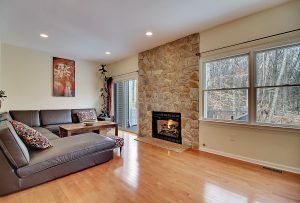 This really depends on the style of the fireplace and of the room as long as it looks intentional and thoughtful (i.e. not messy and haphazard). 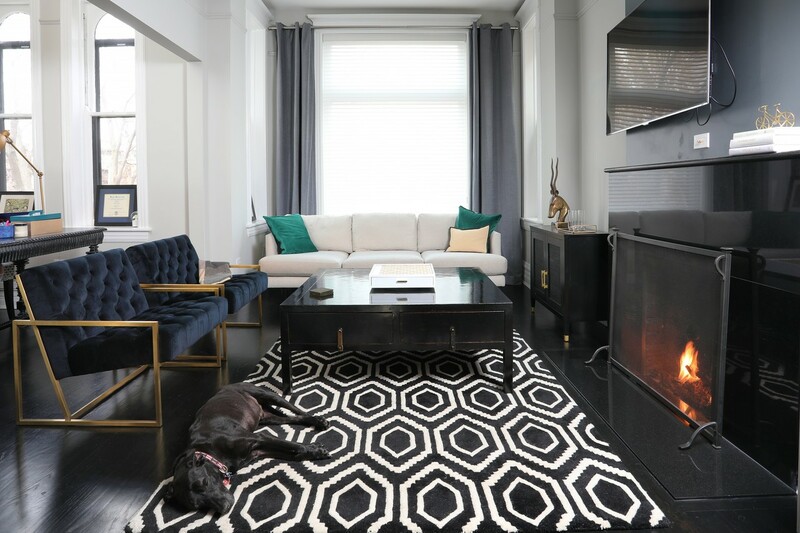 The fireplace is usually the room’s focal point and can be a great place to add contrast. If your room has a lot of symmetry, try a more organic design on the mantle. If your room is more relaxed and organically decorated, try a symmetry over the mantle with décor or sconces or artwork. 7. What do people put on mantels these days? Today’s mantles are often more decorative than sentimental. Family photos tend to be hung on walls and placed on tables, shelves, and desks leaving the mantel free for creativity and expression. 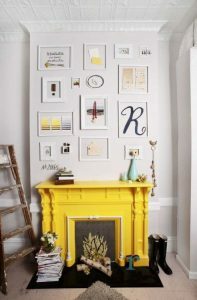 It’s more on trend to use bold, simple mantel décor rather than numerous small items which can look cluttered and unfocused. Are you Relocating? You have a choice! 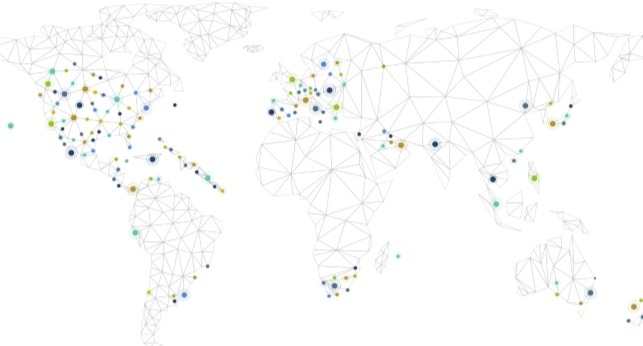 The Sotheby’s International Realty network currently has more than 22,000 independent sales associates located in approximately 960 offices in more than 72 countries and territories worldwide, speaking over 48 languages, and places over 7,500 referrals every year! 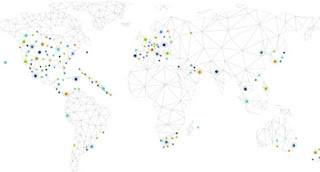 Our Northern and Central New Jersey relocation team exceeds 600 licensed professionals and staff working out of 13 offices including nearby locations such as Montville. Our team has over 20 years of helping relocation sellers and buyers! 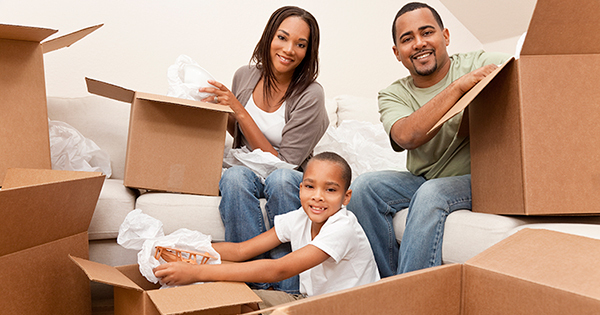 Contact us today to find out how we can reduce the stress and pain of relocation! We'll get you where you need to go. Want to know what it takes to sell a luxury home in a softening market? Ask Anh-Tuan and April Truong. 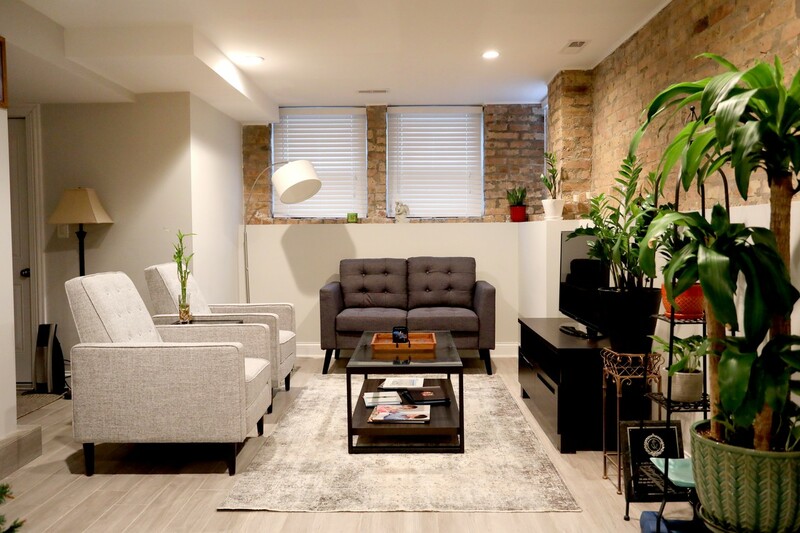 In the fall, Dr. Truong, a cosmetic surgeon, and Ms. Truong, a stay-at-home mother to their two children, sold their 3,200-square-foot townhome in Chicago’s Gold Coast neighborhood for $1.175 million after just 40 days on the market—while similar homes in the same condominium development languished for months. What gave the Truongs the edge? 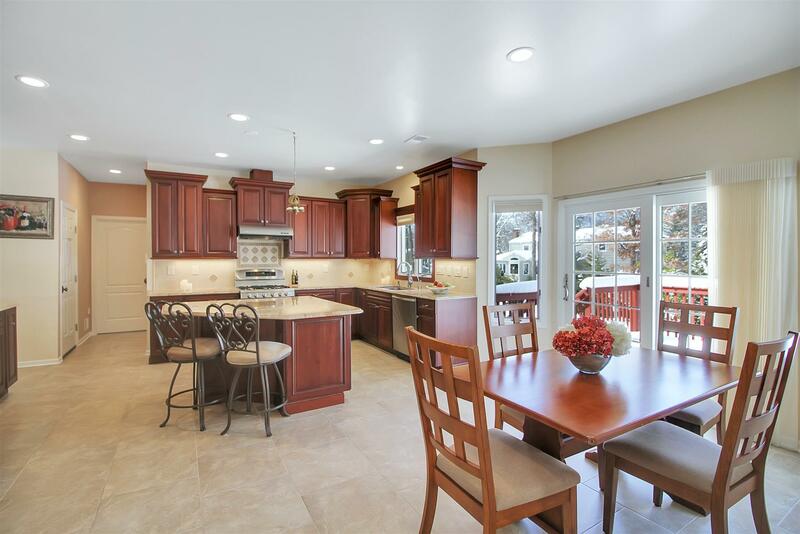 New quartzite countertops, new hardwood floors and a neutral, uncluttered décor—all part of a $30,000 upgrade in 2014. 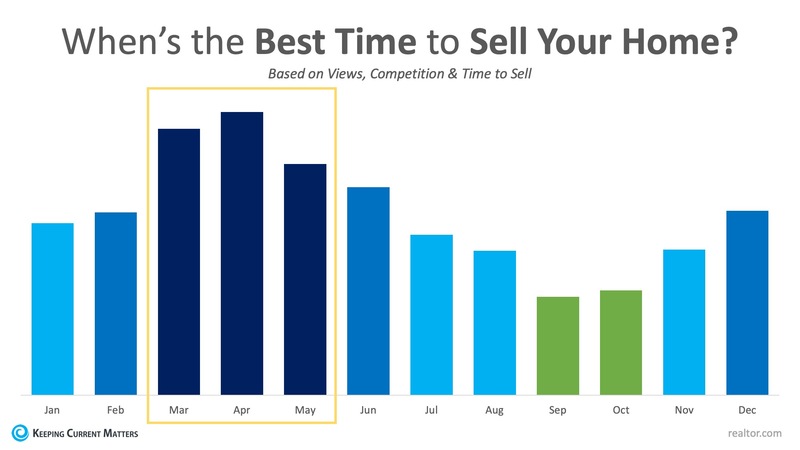 “Sales have been slow over the last six months—you really have to stand out. 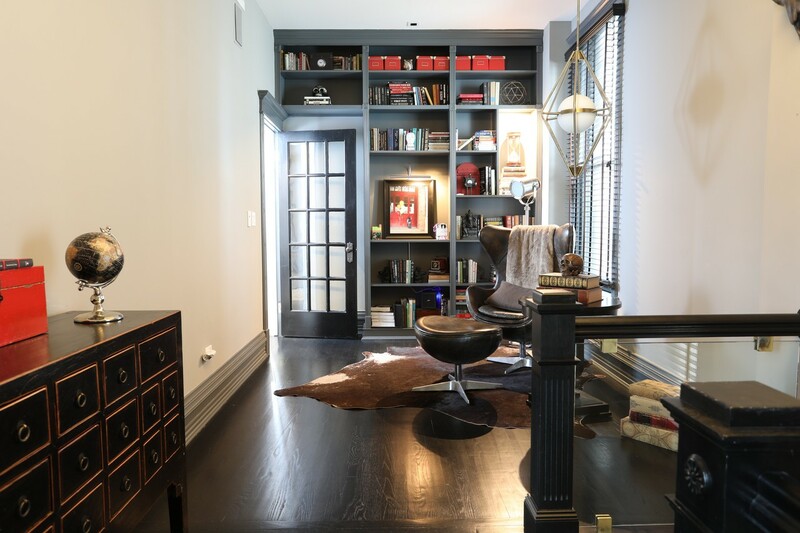 Their place showed like a model unit,” said Lauren Schuh-Dayton, the couple’s real-estate agent and vice president of sales for Jameson Sotheby’s International Realty. 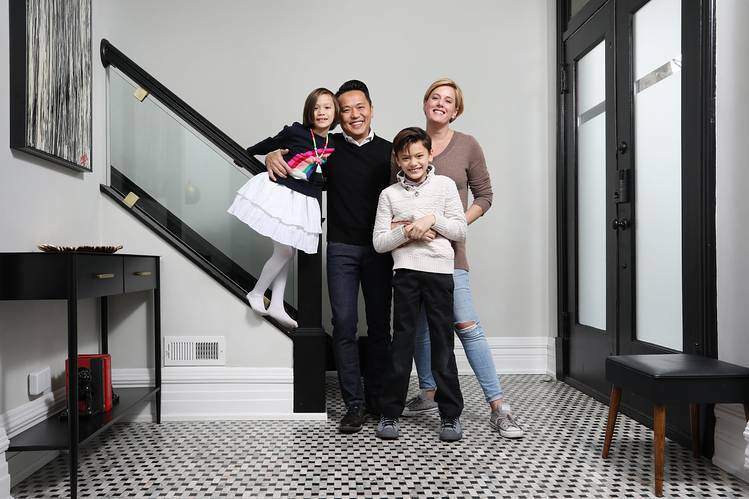 Within weeks of accepting the winning bid on their townhome, the Truongs bought an updated 1888 greystone house in Chicago’s Lakeview East neighborhood for $1.5 million—$49,000 below the asking price. Chef’s kitchens, retractable glass walls, spa bathrooms and other amenities that help sell luxury homes. 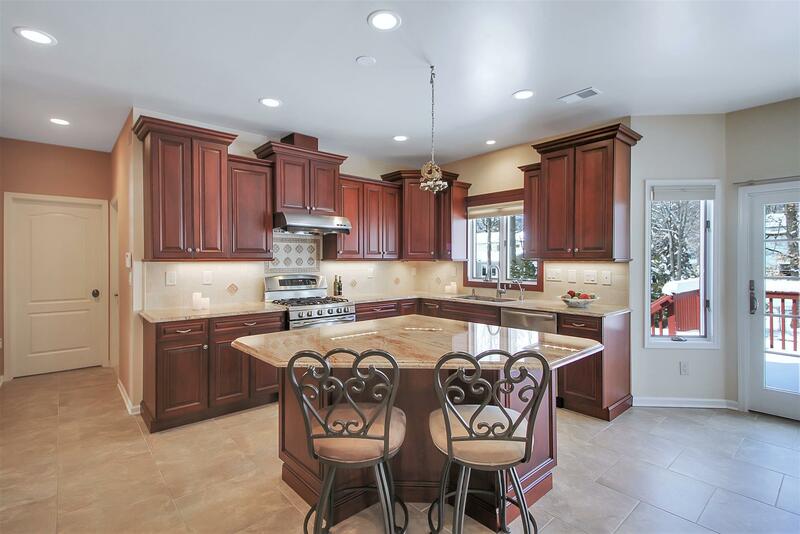 With the luxury market cooling, home sellers may have to invest in upgrades to get top dollar. 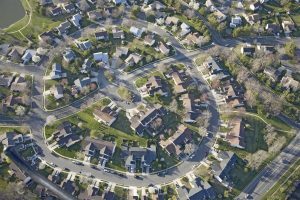 According to an analysis by Realtor.com, high-end home sales rose 7% in October over the same month in 2017—the second-slowest increase in over two years. 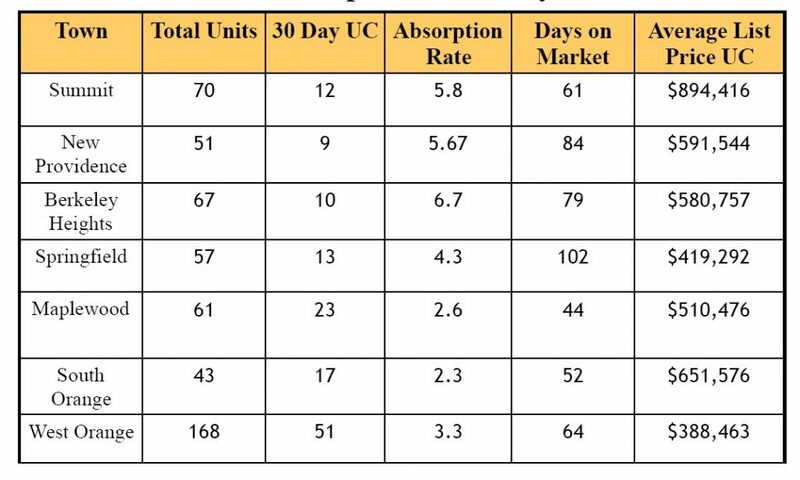 Meanwhile, the total number of properties listed at or above $1 million increased by over twice that rate—indicating that the supply of luxury homes may be outstripping demand. 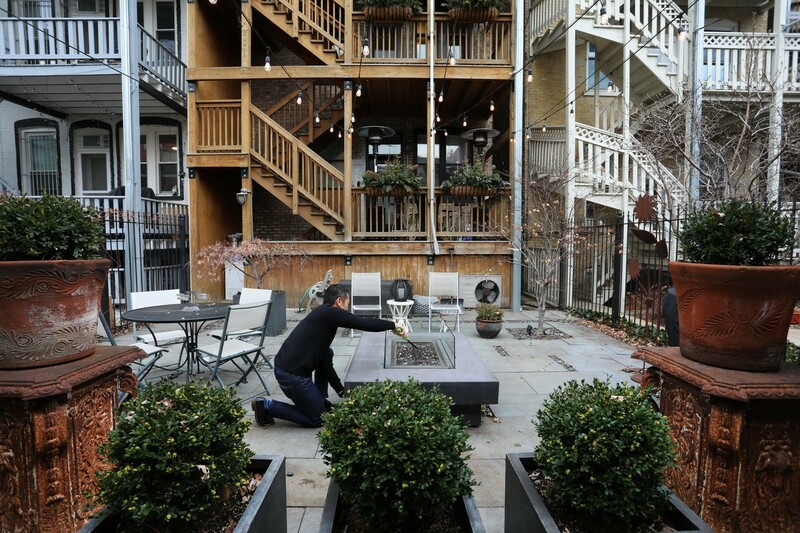 To uncover the secrets of selling a luxury home in a softening market—and find out which amenities are attracting buyers—Mansion reached out to brokers, real-estate analysts, developers and designers. Here are their picks, in no particular order. One takeaway: A $10,000 Japanese toilet can clinch a sale. “Light-filled,” “bright,” “southern” and “exposure” are among the most frequent keywords used to describe the luxury homes priced at $1 million and above that sold most quickly, according to a Realtor.com analysis of more than 45,000 luxury listings. For brokers and developers, all those words mean just one thing: glass. “When [clients] talk about ‘bright’ they are talking about big windows and sliding glass walls that open to the outside,” said Billy Rose, founder and president of The Agency in Beverly Hills, Calif.
At the Preserve at Upper Saddle River, N.J., a new Toll Brothers community, retractable glass walls are luring buyers to single-family homes priced from $1.4 million. “People love the glass,” said Jed Gibson, president of Toll Architecture, noting that over a third of new owners in its four upscale New Jersey developments opted for various movable glass-wall systems. “Ten-foot ceilings, cathedral ceilings, vaulted ceilings” are all in demand, said Susie O. Johnson, a real-estate agent with Coldwell Banker Gundaker in metro St. Louis. Paul Schumacher of custom home-builder Schumacher Homes said his clients willingly pay a premium for loftier master bedrooms and great rooms. “We always tell clients, ‘Let’s put the money and the investment in things you can’t change later. I can change the finish on the floors, but I can’t give you extra volume on ceilings,’” he said. 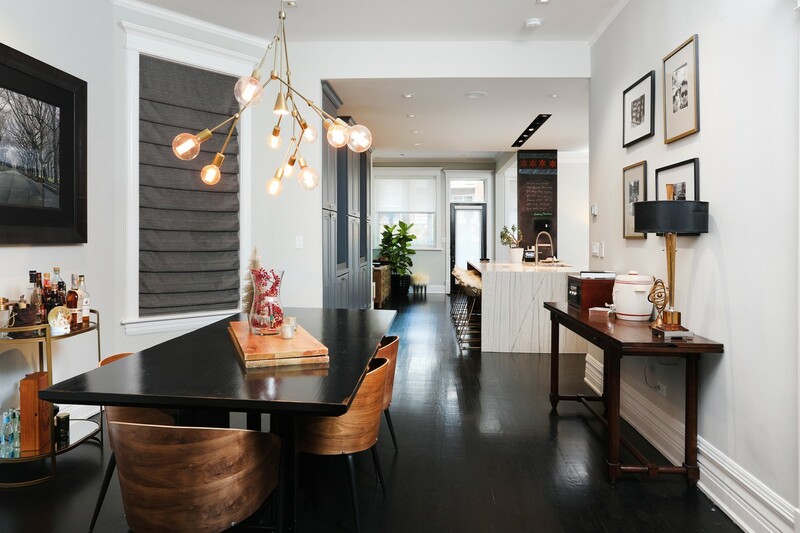 In New York’s pricey condo market, 13-foot ceilings are now in vogue, according to John Gomes and Fredrik Eklund, who head a team at Douglas Elliman Real Estate. “The first thing buyers ask when they walk in—before they ask about square footage—is, ‘How high are the ceilings?’” Mr. Gomes said. 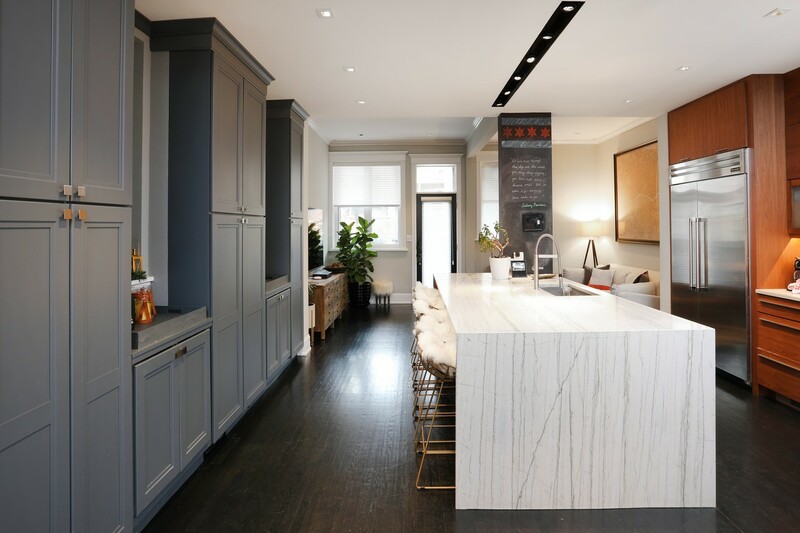 Quartzite, a lustrous natural stone that’s harder than granite and less prone to staining than marble, is the new star of the chef’s kitchen. “Light whites and grays are replacing darker granites. 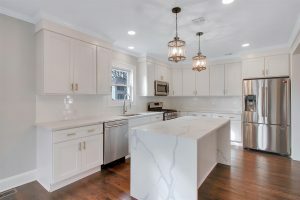 Buyers like to see a light, neutral countertop, not something so personalized or so busy that it’s competing with the tile on the backsplash,” said Susan Boss, a broker-associate with Martha Turner Sotheby’s International Realty in Houston who sells homes in the city’s Rivercrest and Memorial neighborhoods. 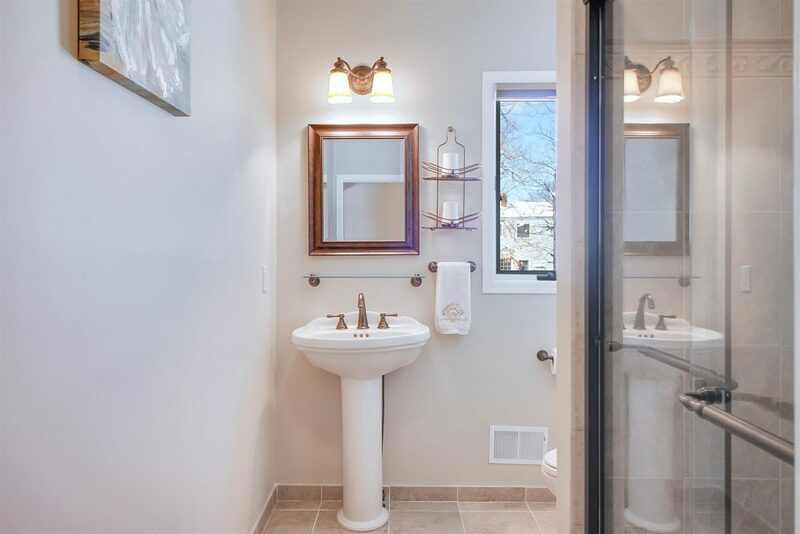 To hook a buyer willing to spend well over $1 million on a New York City condo, a master bathroom must have a steam shower and a high-tech Japanese toilet—“two things I will never ever live without,” Mr. Eklund said. 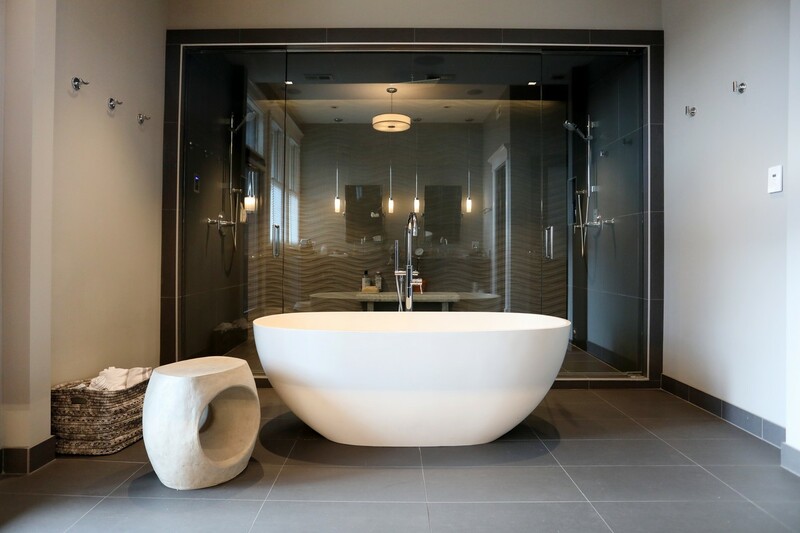 In San Francisco, the spa bathroom makeover has become standard in high-end remodels, according to designer Cindy Bayon. “Steam showers, heated floors—you assume that’s in the project going in,” she said. Toll Brothers has gone all-in with tubs. “It’s a big trend for us. 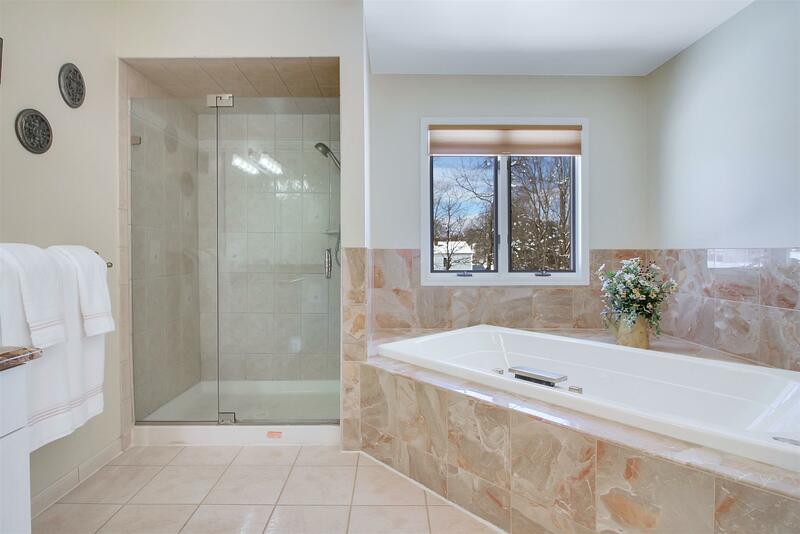 Our buyers told us they wanted free-standing tubs,” Mr. Gibson said. 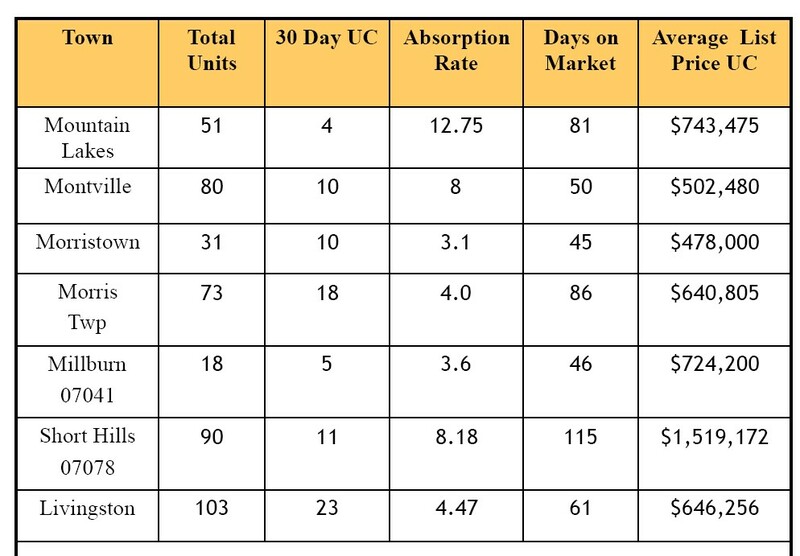 In Houston, clients also show a preference for master bathrooms with dual toilets, said Ms. Boss. The status commode today, according to several agents: the Toto Neorest dual-flush model, which has a heated seat, multiple wash modes and an automatic air-purifying system. Retail price: $10,200. Want to know what buyers want in a luxury home? 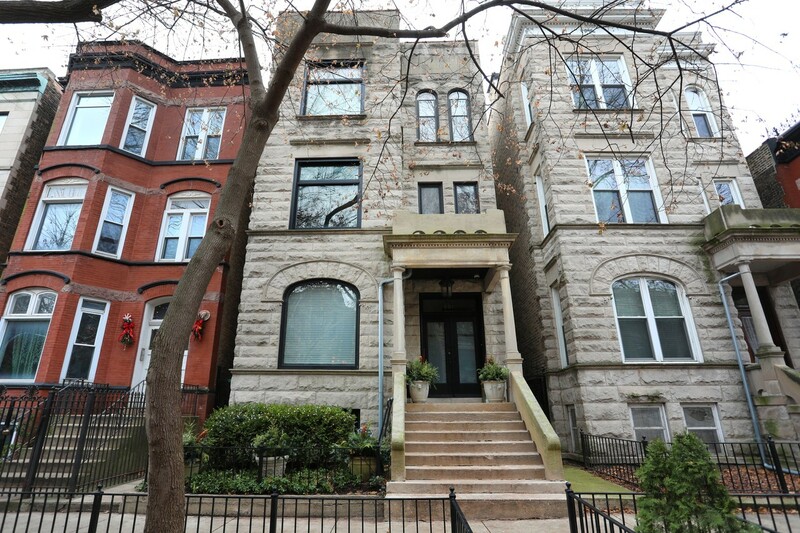 Exhibit A: April and Anh-Tuan Truong’s 1888 Greystone house in Chicago. The 19th-century house had been converted into a multi-unit building, but was remodeled into a single-family home in 2014. 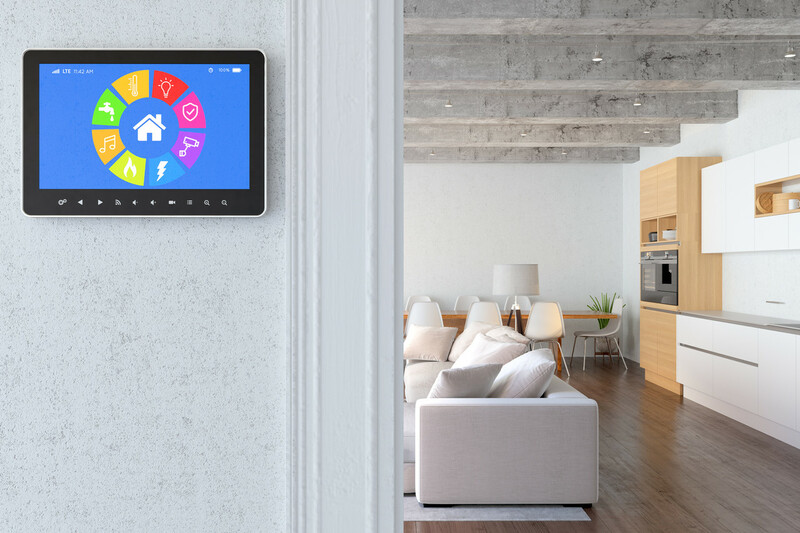 App-based home-automation systems that can play music, control lighting systems and window treatments, regulate thermostats and access security cameras are gaining in popularity. “It is now expected that a home has an ample amount of technology,” said Gary Gold, executive vice president at Hilton & Hyland. 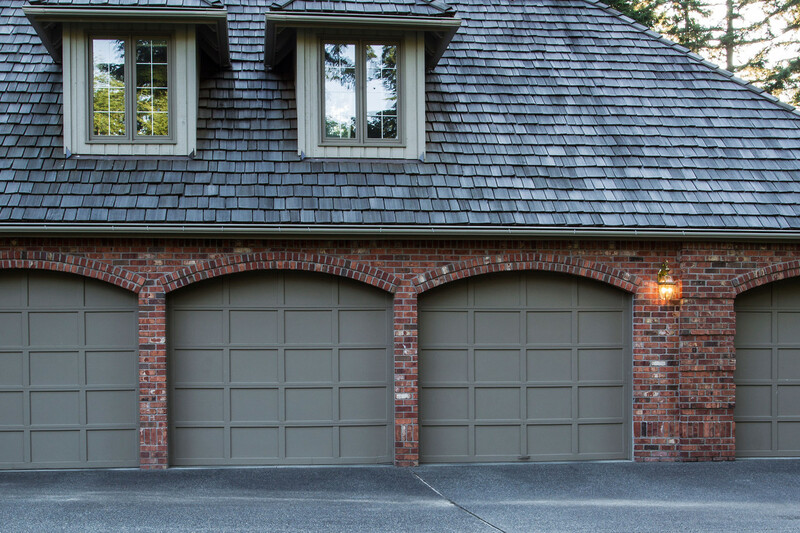 In areas where the cost of square-footage is high, a garage that can accommodate three or four cars is a prized amenity. “In the garage itself, people are looking for electric car hookups, as well as the ability to add a lift if they are a car collector,” Ms. McDonald said. 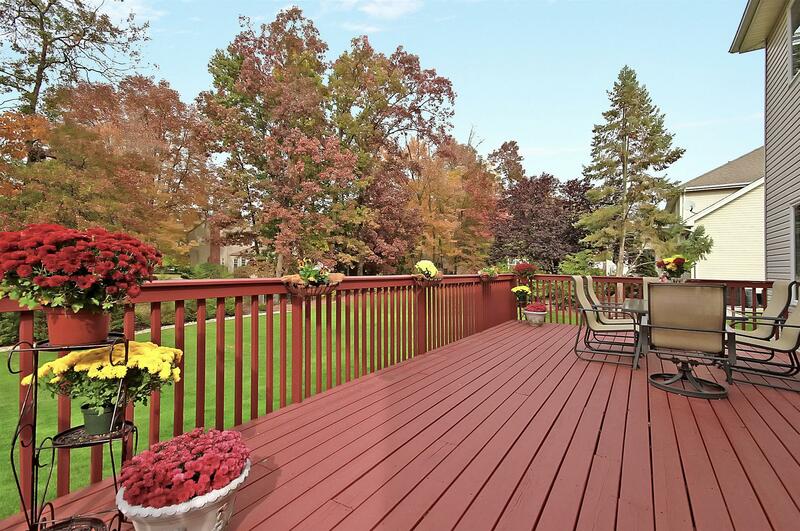 More buyers are asking about home generators, particularly in hurricane-prone areas. “It has become much more important than it was 10 years ago,” said Ms. Boss, whose clients learned to love generators in the aftermath of Hurricane Harvey in 2017. 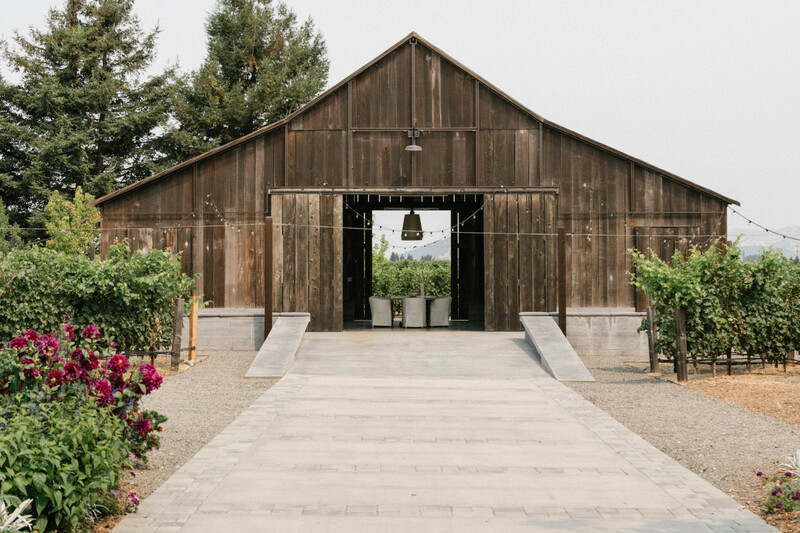 Adding a small generator for backup power to protect a valuable wine collection can cost as much as $50,000, she said, while larger systems for the home can cost $100,000 or more. “It’s one of those undervalued things, but use it once, and you’re the happiest person,” said Judy Gibbons, a broker associate with Jameson Sotheby’s International Realty in Chicago. And never underestimate a good coat of paint. Mr. Gold swears by a Dunn-Edwards hue called “Swiss Coffee.” “When in doubt, white it out,” he said. 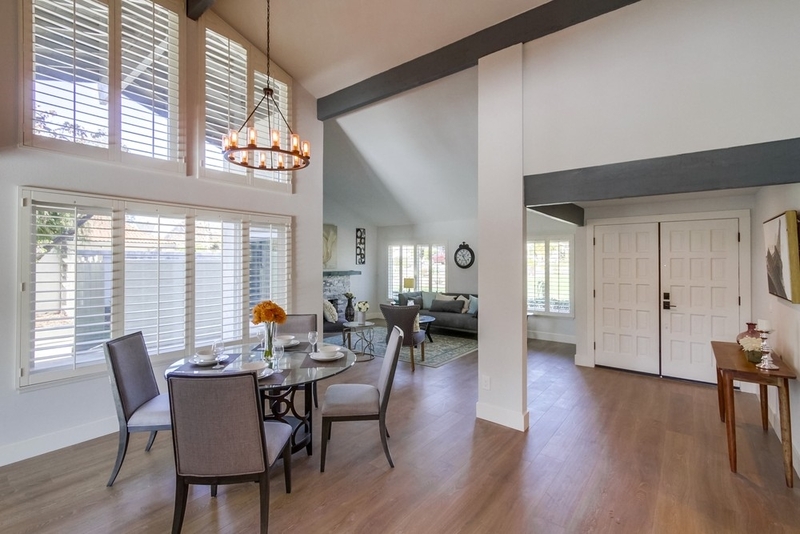 Agents and designers say what’s passe in home design.